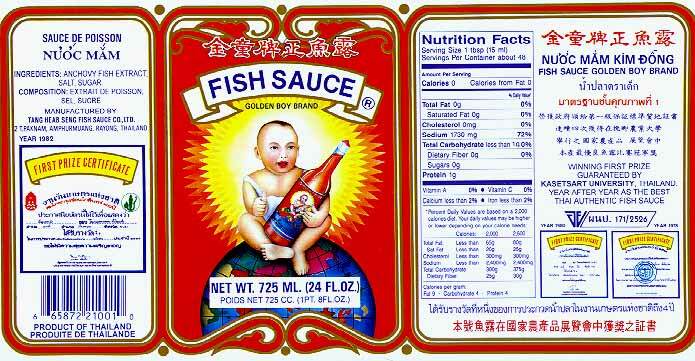 It's easy to see from the label why this fish sauce is called "Golden Boy." In Thai it is simply dra dehk, or "Boy" brand. Golden Boy Brand is one of Kasma's favorites. People have told her that simply changing to this fish sauce has made their food noticeably better.